Today’s misinformation about nutrition and healthy, happy eating is crazy and outrageous. It’s easy to lose yourself in the jungle of food information, health advice, supermarket shelves and crap food. You end up overwhelmed and full of self-doubt. I know that. Way too well. Helping you to turn your health around is truly my passion in life, and I’m so proud to say that what I’ve learned on my journey is here to make your health skyrocket, too. I’ve improved my every day life by so incredibly much – let me show you how you can do it too. My own relationship to food has always been a different story from most people. 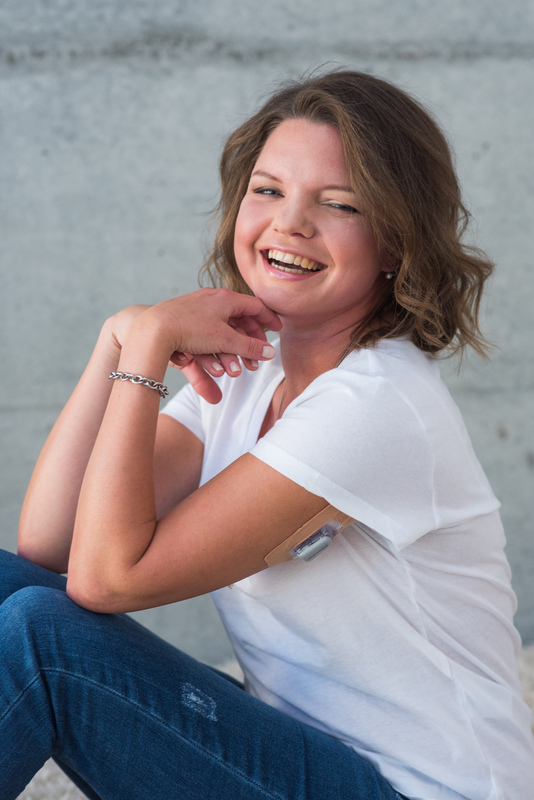 I was diagnosed with Type 1 Diabetes at the age of 2. As well as the beginning stages of Hashimoto’s Thyroiditis at the age of 30. My whole life has revolved around do’s and don’ts, mainly about food, scrutinizing nutritional contents, as well as poking myself with a needle 10 times a day. Until just a few years ago I was so confused about what I should be eating and doing to be the healthy person I knew I could be. Throughout my life, every doctor and nutritionist have given me their own take on what that meant, with varying degrees of helpful advice. It wasn’t until I trained to become a nutrition coach I realized how much of the 26+ years of nutrition advice I had gotten was complete BS. So, I went my own way, against the grain of every health care pro I had ever met. It was a challenging, question-filled time, and building healthy habits and completely changing my eating habits came with a steep learning curve. In short, it took a while. But today I have greatly improved all my results, including my HbA1c, blood pressure, cholesterol and thyroid levels, and I’m doing so much better! I have turned my life around, having really seen how a change in lifestyle, eating habits and real knowledge improves your quality of life. I’m Hanna, a swede living in Zürich, Switzerland. After having completed my studies in London, I rocked the corporate world for a while. It didn’t take long until I figured out that my mission is to change the very way people view food, and made it my goal to help others. I re-educated myself as a Nutrition Coach, developing my passion further to empower people like myself to take control of their lives. I am extremely grateful having been able to change my life and inspire others to do the same. If I can make a change; so can you.